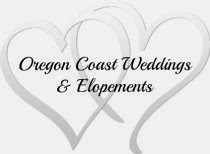 Look for us in Oregon Coast Magazine May/June Edition! Sandlake Country Inn has a feature story in the new May/June edition of Oregon Coast Magazine! Unfortunately, their online version is not up yet, so I can't give you a link to their magazine. We are honored that they chose to feature us and hope you'll support their magazine and go out and buy a copy. This was a nice surprise to find when we came home from vacation.